The fans of J. K. Rowling's saga about the world of wizards annually celebrate Harry Potter's Birthday on July 31. According to the story, invented by Rowling, the boy who lived was born on this day in 1980. 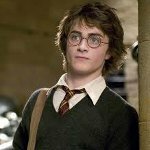 Harry James Potter was born on July 31, 1980 in the family of James and Lily Potter. Three months later, his parents were killed by Lord Voldemort. Harry was left in his aunt's family, where he was growing as an ordinary boy. Harry met a half-giant Hagrid on July 31, 1991, on Harry's eleventh birthday, the latter brought him a letter from Hogwarts. And the further story is known to everyone. A series of books about Harry Potter is one of the most famous contemporary bestsellers. Stories about the adventures of a young wizard are loved both by children and adults. Many admirers of Rowling's work celebrate Harry Potter' Birthday. They organize theme parties and other events, helping all others to believe in a fairy tale. Even if you are not a fan of this kind of activities, you just can re-read some books about Harry Potter or watch all films about him.